Digital Engineering Techniques to design, coordinate and manage Temporary Works by Dr. Andrew Jackson, Construction Technical Lead BYLOR JV at Hinkley Point C.
Temporary works play a major part in the delivery and safety of construction projects, especially when building complex structures and heavy civil engineering. 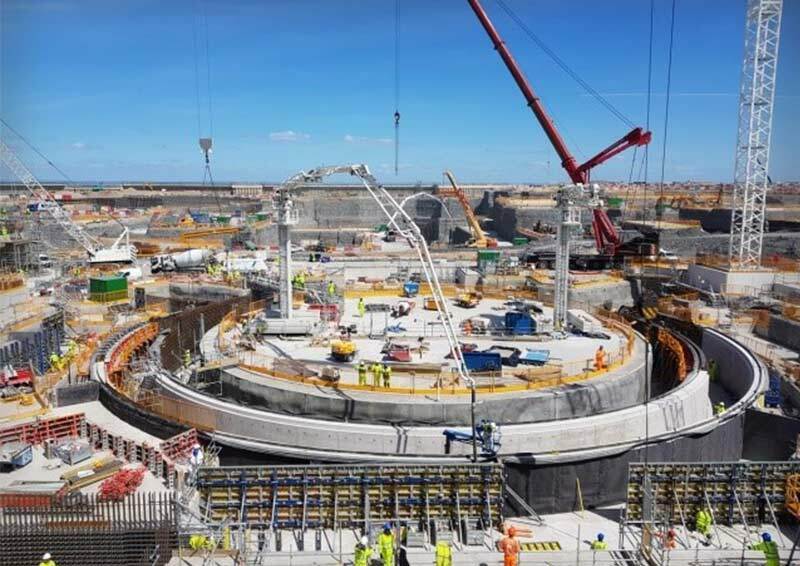 At Hinkley Point C, BYLOR are building over one million cubic metres of complex reinforced concrete structures to demanding nuclear standards – a combination of complexity, scale and quality which present unique challenges for temporary works design. Challenges faced by BYLOR’s in-house design team and by suppliers’ designers include stabilising dense reinforcement from prefabrication to achieve tight tolerances insitu, coordination of temporary works with hundreds of thousands of embedded items, ensuring any temporary works to be included within the permanent works meet stringent nuclear standards for quality and traceability, and ensuring temporary works comply with constraints from the permanent works design. The team have developed industry-leading Digital Engineering techniques to design, coordinate and manage the temporary works. Please click on the following link (or use the QR code) to register your attendance with the venue by 12pm on Monday 8 April 2019. Please Note: There are a maximum of 45 spaces available. Please do not sign up if you cannot attend. If you sign up but are unable to attend please email [email protected] to allow someone else to take your place. Please remember to bring ID. Andrew is Construction Technical Lead for BYLOR at Hinkley Point C, responsible for managing technical risk across BYLOR’s scope including the design of Temporary Works. After a background in structural design and research, he has worked on projects ranging from high-rise buildings to sewage works including developing and implementing new precast solutions for rapid construction. His four years leading a team at Hinkley Point C give a unique insight into the megaproject’s engineering challenges and industry-leading developments.